Eliminating the use of copper as a fungicide in vineyards will be the biggest issue for the wine business over the next 10 years, believes Hervé Jestin, head winemaker for Champagne Leclerc Briant. Speaking to the drinks business last night at a tasting and dinner to mark the Champagne’s tie-up with Berry Bros & Rudd – which will now distribute Leclerc Briant in the UK – Jestin outlined what he believed would be the greatest challenge for vintners over the next decade. “Today, the huge problem is the use of copper, which we use a lot to kill mildew, and eliminating the use of copper will be the main subject of the next 10 years,” he said. As Champagne’s only 100% organic négociant, Jestin is reliant on the use of copper to control mildew infection in the vines, because the heavy metal is permitted under the agricultural practice, but not synthetic chemical treatments. 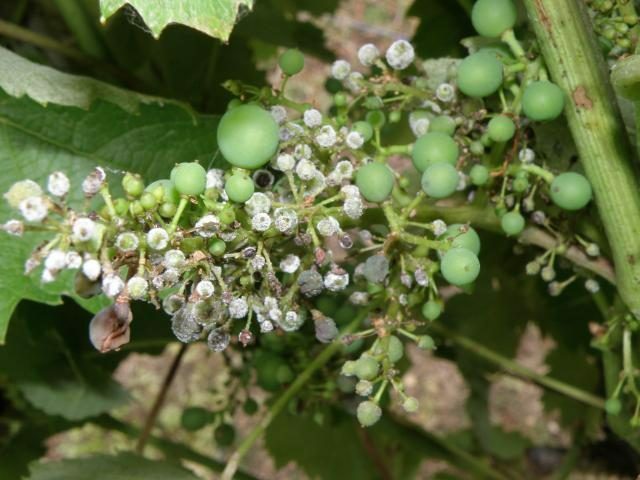 Both conventional farmers and those practising organic or biodynamic methods use the metal, which is an effective control for downy mildew when it is sprayed on the vines as copper sulphate (also known as Bordeaux mixture). However, should one want to retain organic or biodynamic certification, and eschew the use of copper as a fungicide, then there are currently no alternatives that are effective as a treatment against downy mildew, which can reduce yields dramatically if left untreated. But the topic of copper has recently risen up the agenda for vineyard owners due to a change in the amount that can be applied by farmers under European law from the start of this year. Because copper degrades extremely slowly once it is washed off the plants into the soil, and can lead to lifeless soils if the substance is allowed to build up to damaging levels, the European Commission has approved a new lower limit for copper application under organics from this year, taking it down to 4kg per hectare/year spread over seven years, from its current cap of 6kg/ha/year over a five-year average. Such a decision has prompted a fearful reaction from organic wine producers in France particularly, with reputedly one in five using an average copper load greater than the new lower limit, particular during the 2018 growing season – a harvest in which mildew was rife in Europe. Indeed, Hervé told db yesterday that he believed that the newly changed limits would prompt a sharp decline in the number of wines produced to certified organic standards. “The problem is that you can’t replace copper with anything else,” he explained, when speaking about organic producers. Nevertheless, he welcomed the change in the laws, because he believes it will provide added impetus to find a natural alternative to the use of the toxic metal in organic farming. “The change in the regulation is an opportunity because it means that people will have to move… this way, they will have to work to find a solution,” he said. For Jestin, however, who is a passionate advocate of biodynamics, the use of copper in the vineyard goes against the ethos of his chosen farming method – which sees producers take a holistic approach to vineyard management to promote soil life and vineyard health. “The use of copper is a huge problem for me because we use the substance to kill, and that is not the approach of biodynamics,” he said. Furthermore, he told db that the presence of mildew in the vine was a sign that the plant was not in balance, and therefore he favoured preventative solutions that would raise the vineyard’s resistance to disease. Although he recorded that experiments by the University of Bordeaux Institute of Vine and Wine Science (ISVV) had shown that the application of algae-based sprays can help the vine resist downy mildew, he said that it was too early to tell if this would be affective enough to protect a crop. 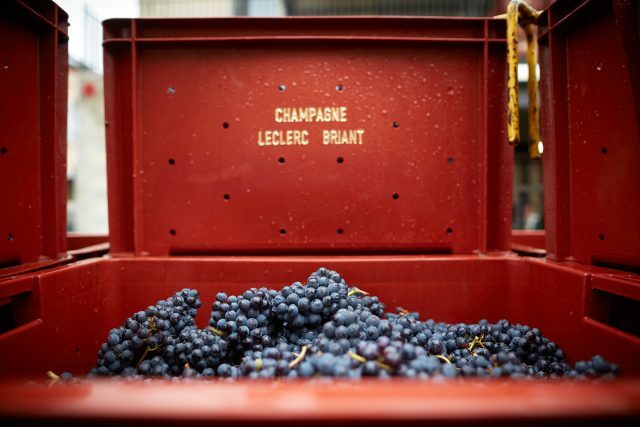 As for Leclerc Briant, which has 14 hectares of biodynamic vines spread across Champagne, he said that he was trialling a method to “reconnect the vine with its natural magnetic field”, which he said would “rebuild the balance” in the plant. Presently, he also said that he uses a low level of copper, having applied 1.8kg/ha during last year’s growing season, when fungicidal incidence was high. However, he recorded that growers in nearby Alsace were using less than 1kg/ha/yr, meaning that it is possible to use even lower amounts, although he did acknowledge that the drier climate in this part of France was less favourable for fungal infections, particularly downy mildew, which thrives in humid conditions. As previously reported by db, deep within the laboratories of Reims University a professor called Christophe Clément has been working on a longterm solution to the spread of a different but even more problematic fungus in Champagne – that of botrytis. His research centres on promoting a response in the plant that will prevent a fungal infection, rather than treating something that has already taken hold. “We have two different kinds of technology,” begins Clément. The first of these involves the use of natural molecules that stimulate the vine’s defence mechanisms to an infection such as thickening cell walls. Called “elictors”, they originate from bacteria, and Clément is currently trialling collections of bacteria to find the most effective. The second technique is called “biocontrol” and sees the application of natural beneficial micro-organisms that can be taken up from the roots and diffuse in the vine to help it protect itself against diseases, as well as stimulate growth. However, he believes that in the near future Champagne growers should be able to use elicitors and micro-organisms in combination with fungicides, helping reduce the region’s reliance on sprays yet further. To find out more about the causes, symptoms and effects of downy mildew, there is plenty of useful information and good pictures on this page, created by the Western Australian governmental department for agriculture. If he stopped believing in witchcraft and believed in science his ability to counter mildew would be much easier. Look up phosphorous acid for one. Very soft chemical, outstanding results, inexpensive, based on science. Ask how ‘balanced’ vines will help counter mildew, which will come if you have 24 hours of wet leaves, and the temp is above 10 degrees. As a Chartered Electrical Engineer and winemaker, I wonder what Jervin means by ““reconnect the vine with its natural magnetic field”? At Avignonesi, with 169 hectares of biodynamic vines, we have been experimenting with alternatives to copper since 2012. In our experience the seaweed based products -besides their expense – do not work very well. We obtain the best results with ashes made from last year’s leaves attacked by downy mildew, diluted in rain water and sprayed on our vines. A solution that is available NOW with proven efficacy and NOT using copper, is Agrothermal Systems use of heat to combat powdery & downy mildew as well as botrytis. The technology while not new, has been developing the best protocol (frequency, heat temp, heat wind speed, tractor speed, etc.) and equipment to apply the technology for the last 10 years. There are many US, EU, NZ, S. Africa and S. America current users with much success. check out http://www.agrothermalsystems.com. In full disclosure, I’m a grower, winemaker, have run several wineries, wine educator in Sonoma CA and now VP of sales for Agrothermal. What the hell does “reconnect the vine with its natural magnetic field” mean? As some stated above, I always wonder why is the wine industry so plagued by pseudo-science and ideas more akin to witchcraft than science. It drives me nuts.